Tarana Burke, founder of the #MeToo movement, will deliver the commencement speech for Graduate Studies at Salem State University. Salem State University has announced its 2019 commencement speakers. 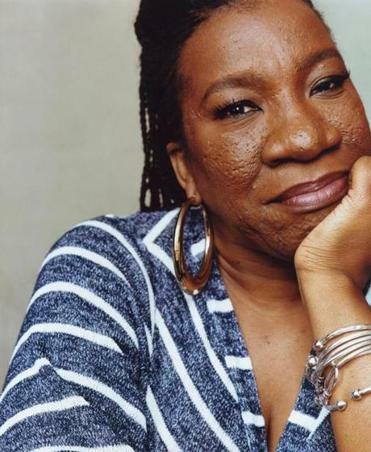 Tarana Burke, the activist behind the #MeToo movement, will speak to the School of Graduate Studies on May 16 at 4 p.m. Essex District Attorney Jonathan Blodgett, a leader in confronting issues such as the opioid epidemic, will speak to the Maguire Meservey College of Health and Human Services and the Bertolon School of Business on May 18 at 10 a.m. Boston Police Commissioner William G. Gross, the first African-American appointed to the position, will address Salem State’s College of Arts and Sciences and School of Education on Saturday, May 18 at 3 p.m.
Metal fabrication students at Northeast Metro Tech in Wakefield created a custom gear rack for Reading firefighters. The students worked on the project for months, and now it will be used to store jackets and other equipment. The 9-by-2-by-5 foot rack was requested by the department in January to provide additional storage for four new members. The weekend should be taken slowly, and that’s exactly what the Cape Ann Museum in Gloucester suggests. The international Slow Art Day asks museum visitors to spend 10 minutes on Saturday, April 6, looking at a single piece of art in order to encourage people to think critically about the work. The museum, at 27 Pleasant St., invites visitors to view five pieces that day followed by discussions at 10:30 a.m. and 1:30 p.m. Admission is free for members and kids under 18, $12 for adults, and $10 for Cape Ann residents. Register at camuseum.eventbrite.com. North Shore businesses have partnered with Bridgewell, a nonprofit based in Peabody, to create employment opportunities for adults with autism. Victoria Baker, the general manager of Pride’s Deli in Beverly, recently won the “champion” award for her involvement. Other participants include North Shore Community College, Gordon College, and the North Shore Navigators. A Lynn resident won the Ken Peak Innovation in Teaching Award from the Academy of Criminal Justice Sciences. Forrest R. Rodgers, a criminal justice professor at Salem State University, employed alternative methods such as feedback videos in his instruction. The award celebrates “criminal justice and criminology faculty members for innovative teaching methods” that are proven to be effective.